First, I’ll give you the annoying answer – it depends on what you’re trying to do. But I’ll tell you what probably does matter, based on the fact that you’re reading the blog post and what that tells me about the current stage of your marketing efforts. Read on to find out what KPI’s matter – and what KPI even stands for. For the sake of this post, let’s assume you’re looking to generate leads for your business that are directly measurable and a CPA can be assigned to. KPI is an acronym for Key Performance Indicator. A KPI is a measurable value that may demonstrate how effectively a company is achieving key business objectives, assuming their assigned KPI’s were mapped appropriately. Selecting the right KPIs will depend on your industry and which part of the business you are looking to track. Each department will use different KPI types to measure success based on specific business goals and targets. Today we’ll be talking about the KPI’s that matter for businesses looking to invest in or already investing in Digital Marketing. What KPI’s should I be seeing? Your team should begin with the basics to outline what your organizational objectives are and how you plan on achieving them. From here, you can develop the benchmarks necessary to track progress against these objectives. This will likely be an iterative process that involves feedback from different managers or departments (depending on company size) and will evolve as your company does. Additionally, the data that we are collecting can be re-organized by the measurement platforms so we may have to come up with new benchmarks. As an example, Facebook used to provide information about video watches – this turned out to be a little confusing. If a company had assumed clients who watched their videos more than 10 seconds were more likely to convert, they may have allocated more budget to video views than other more common lead generation ad types. We also once pitched a company who was obsessed with announcing their PTAT score because their competitors were. (See here if you need a refresher on this irrelevant number.) Bottom line – don’t get too attached to a metric that may disappear, understand instead how it contributes to your overall objectives. Since we don’t know your SPECIFIC business situation – we’re going to tell you the top metrics we track for our clients. Understanding not just the CPA for a lead, but also the volume or opportunity is important. Every wonder why some leads cost $50 and some are only $12? Why not just go for $12 leads, right? Wrong 🙂 Some leads may even prove to have a higher LTV. For example, subscribers over the age of 35 to a popular monthly makeup box service are more likely to subscribe for 12+ months. These leads may be worth spending more money on to obtain. It’s important to understand the value of your leads and how their acquisition can be segmented. Website traffic and user behavior, to begin with – we want to know if our ads or lead gen efforts are causing more people to search your brand and interact with it. Do they need more information? Are they going to your site and then falling off quickly? Maybe theirs a lack of relevancy to the messaging in the ads and the solution provided. Is our web traffic dropping? If our conversions are increasing, then this may not be a bad thing. We don’t always drive sales on site. Once again – it’s the combination of metrics that matter, not numbers going up or down. And when should you fire your marketing agency? If your agency is delivering reports that outline numbers such as impressions, new social media followers, or changes in your bounce rate when they aren’t even being tasked with driving traffic to your website – get at us. Make sure you’re measuring up! Punny, I know. Anyways, if you are tasked with managing a marketing team, here are a few tips to ensure that they are providing numbers that are up to par with the most advanced analytics teams. Establish reporting cadence. Make sure you’re measuring over the same intervals month over month. It’s important to know what numbers should be measured weekly vs monthly, and even 3-month summary. As an example, monthly ad budgets may be standard, but distribution of that budget week over week may vary. This can cause organic results on a weekly basis to be extremely volatile, but provide insight into overall marketing performance and account health when delivered at a monthly or 3-month interval. Establish a checks and balance system for data accuracy. Have data export methods and reporting systems that allow you to easily uncover mistakes. Sometimes compare month over month in a same-screen view can do the trick! 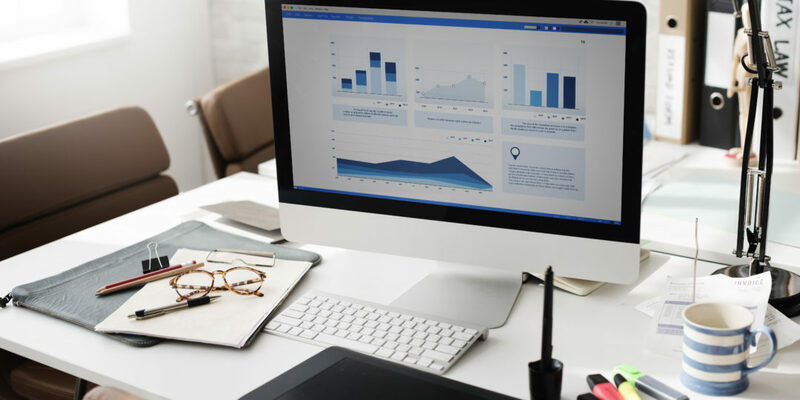 At the end of the day, you can collect all of the data in the world, but reporting and measurement is about connecting the dots and understanding the impact of your marketing efforts to your overall brand objectives, such as your impact to revenue.